DaBella is the leader in bath and shower conversions that homeowners have trusted for years in Everett and Snohomish and Skagit County. You use your bathroom multiple times a day and a remodel can increase the value of your home. DaBella has delighted homeowners in Northern Washington with a new bath or shower in as little as a day. With a DaBella bathroom contractor, you will get high-quality bath products from BathWraps and installation performed only by factory-trained contractors. We understand that remodeling one of the most important rooms in your house can be overwhelming. But it doesn’t have to take weeks. 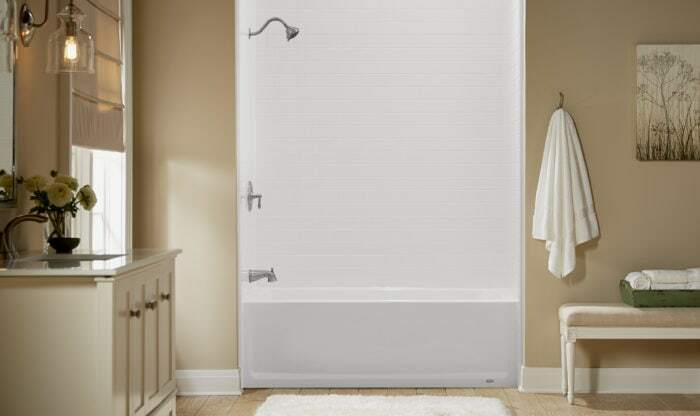 A complete bath replacement, walk-in tub or tub-to-shower conversion can be performed in as little as one day – minimizing the impact to your daily life. The BathWraps bathroom products we offer will give you a peace of mind knowing that you have the added protection of Silver Shield that prevents bacteria, mold and mildew from growing in your bath or shower. This added benefit helps keep the wet area of your bathroom strong, fresh and clean. They installed my tub shower in one day. They did an outstanding job. They explained everything they were doing. Cleaned up everything before leaving and hauled away everything. The new tub shower is beautiful. I love it. Great people.